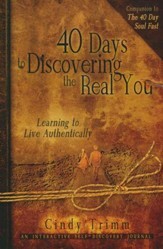 Activate the skills you need to take back your life---in just 40 days! 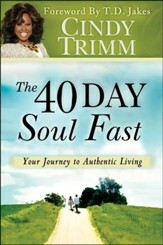 In this companion devotional to her bestseller Reclaim Your Soul, Trimm leads you on an interactive journey to becoming a resilient person. She'll help you break free from destructive relationships; avoid unhealthy emotional attachments; unlock your potential; fulfill your purpose; and more. 176 pages, softcover from Destiny Image. 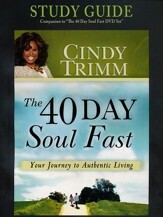 Take back your life in 40 Days! Activate the skills you need to succeed and take back your life! 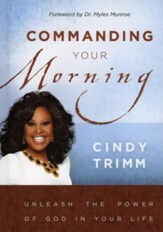 This companion devotional to Reclaim Your Soul from Dr. Cindy Trimm will lead you on an interactive 40-day journey to becoming a resilient person. Successful people are resilient people. Get ready to practice 40 disciplines that will lead you into a more resilient life where success and freedom become your new normal! 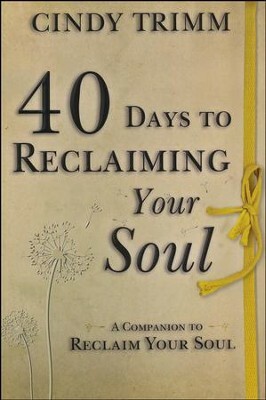 I'm the author/artist and I want to review 40 Days to Reclaiming Your Soul.